Extremely effective, unique trap for most types of flies. Reusable! Catches up to 20,000 flies each time. Contains a bait for first time use. Just add water and hang up (or stand upright). 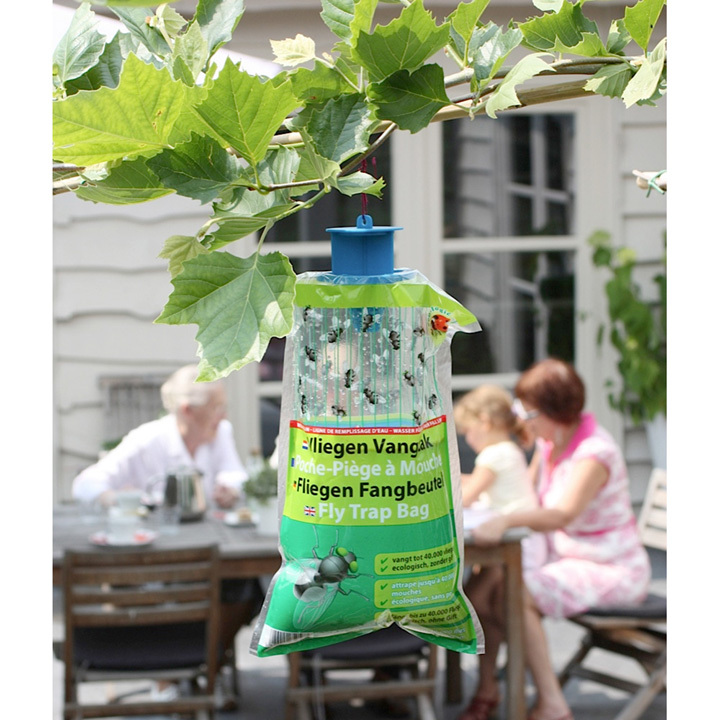 Easy and fast to replenish with BSI Bait for Fly Traps. Effective biological pest control. Economical. Harmless for children, pets and the environment. Contains a bait for first time use.